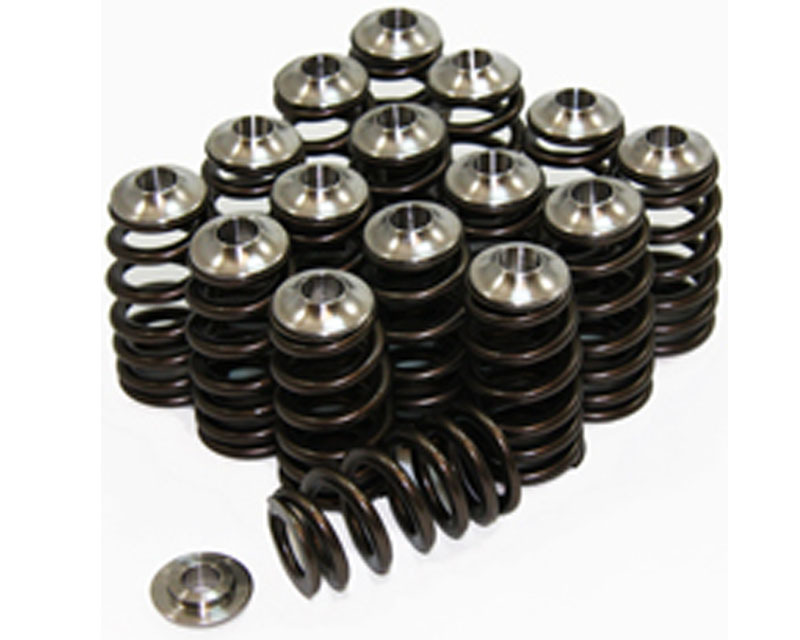 All new cylindrical single valve spring kit for the Subaru turbo EJ series motors. Made for the Suby owner that daily drives their hot rod and keeps the boost and revs down. These Springs are the same quality and consistency as our popular beehive spring kit. The nano-peened AS50 round wire will perform with a RPM limit of 8200 and boost levels up to 32PSI on S1 or S2 profile cams. Strict quality control on the springs and the CNC machined Titanium retainers give you peace of mind that your valvetrain is always under control.